It's looking pretty standard fare for aero road bikes these days but I do really like super thin seat stays and seat post. Surely a new Transonic is on it's way soon. Last edited by prebsy on Thu Apr 12, 2018 3:26 pm, edited 1 time in total. 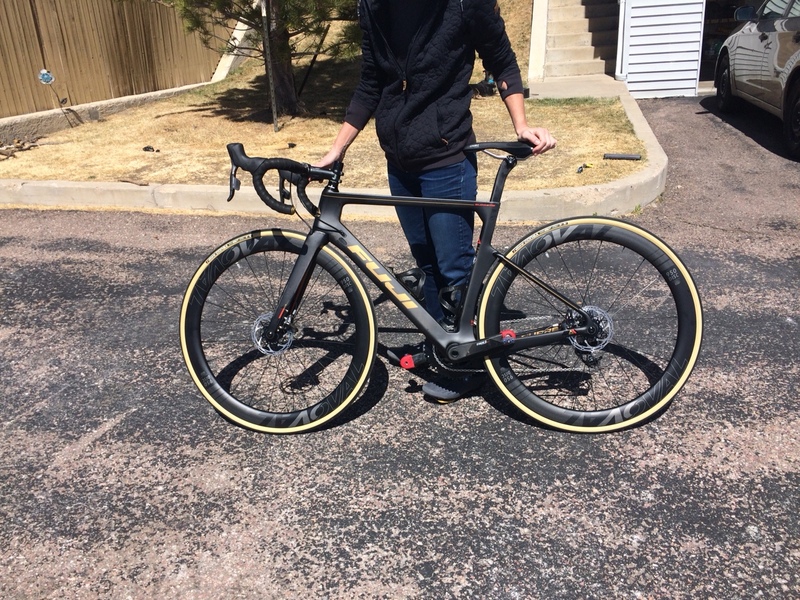 Initial reaction: A $7000 aero bike with round bars? 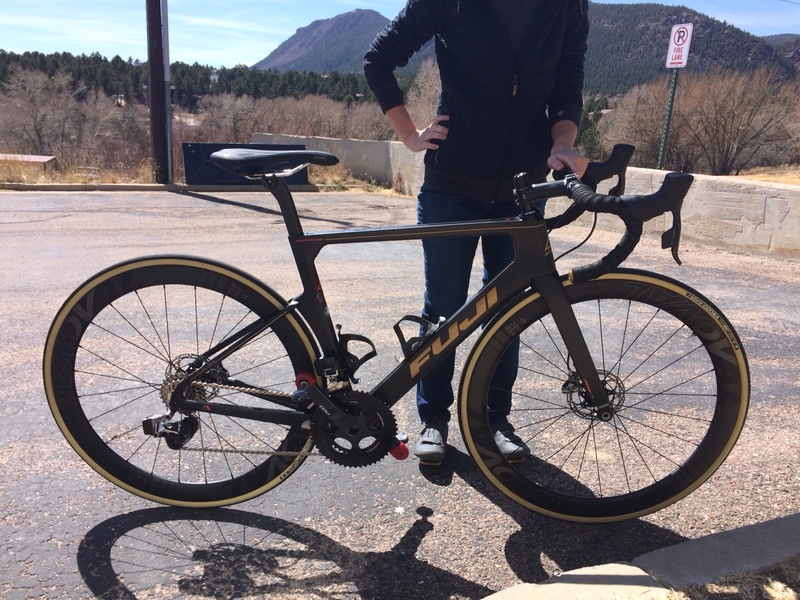 Yeah a bit of a departure for Fuji, normally the MSRP is the best characteristic of the bike. No doubt they will be discounted right away since ASI owns Performance. Looking forward to seeing one in the world. I have a short torso so the geometry looks great for a longer stem with out ridiculous amounts of seatpost sticking up. I am curious what the seatpost will weigh on this, always one of the things they don't mention. Also if like the sl they have a 12mm and qr hangers in back? I like it, but the dropped seat stays are pretty ugly. I doubt any experienced rider will be using the bars and seat for long too. I wonder what the rim brake version frameset weight is. There is no rim-brake version. Geometry seems reasonable for the small and large at least. Surely it would have made more sense to spec the 43mm rake fork on the medium too, and make the head angle slightly steeper (72.5) but maybe you run into trouble with the front centre getting too short. Friend of mine is a reviewer. Rolled over to my house to show me. Beautiful bike. Isn't the aero "penalty" only about one watt at 45kmh? So is this the way manufacturers are going to delete rim brake bikes from the market long term? Change the name or redesign an existing bike or make a new bike and then not give the option of rim brake. I've nothing against disk brakes, I'm just against the inability to decide to have a rim brake bike instead. LeDuke wrote: Friend of mine is a reviewer. Rolled over to my house to show me. Beautiful bike. so the way the marketing video looks, I am assuming it is a women's only bike? I like that they use 52 fork offset as the default. This is much friendlier for small sizes than BMC's 41 or many other brand's 43-45 fork offset (rake). Seems like the cheapest version has good price too 2299 for the whole bike? ?